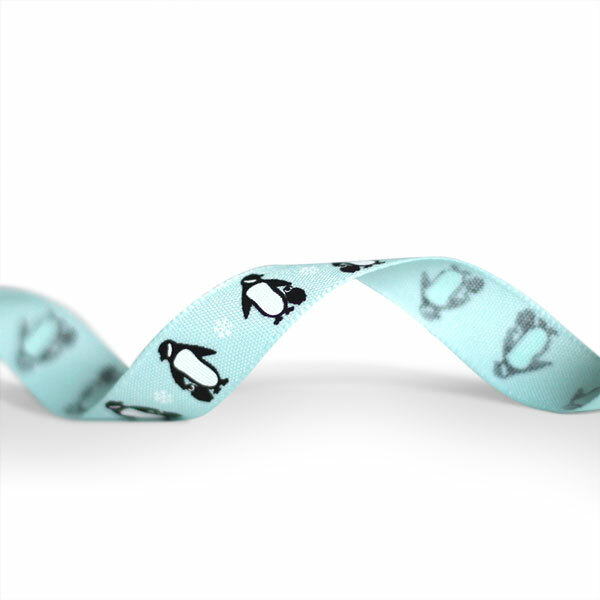 The Festive Penguin Christmas Ribbon in light blue features a selection of cute penguins, making this ribbon the perfect addition to a gift for animal lovers. 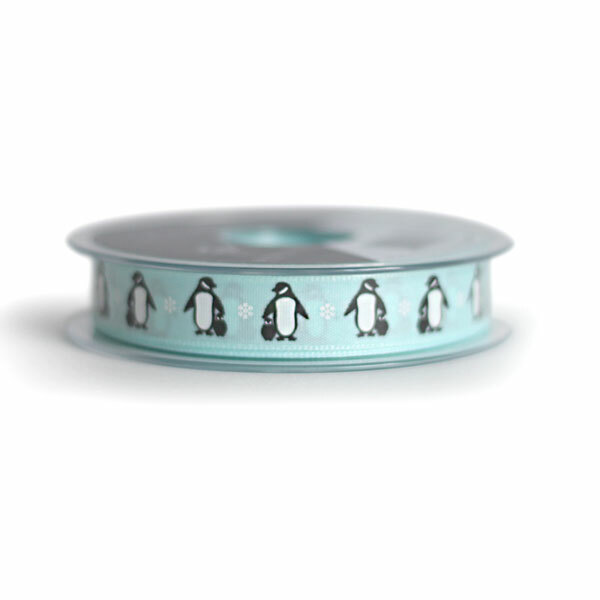 Ribbons are perfect for adding a creative and aesthetically pleasing touch to your gift packaging. The ribbon is 15mm wide on a roll of 20m.